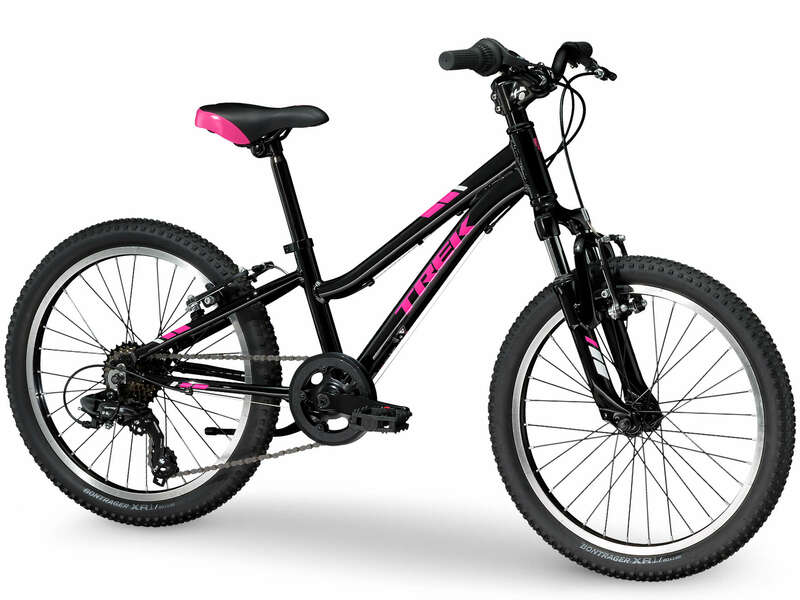 Precaliber 20 6-speed Girl’s is a kid’s mountain bike for young adventurers. A lightweight frame, knobby tires, and quality components like a front suspension fork, 6-speed gearing, and hand brakes are perfectly dialed to better fit small riders. For kids ages 6-8, between 45-52˝ tall.